Government Affairs for the Lewisville Area Chamber of Commerce is a key component in assuring that each member has a voice in business issues that affect them on the city, county, state and national level. During the bi-monthly meeting, local, state or federal issue are discussed along with updates on topics such as current and pending legislation, transportation, roads, etc. Members of Government Affairs must be members in good standing of the Lewisville Area Chamber of Commerce. Members are strongly encouraged to attend monthly meetings to increase their knowledge on key business issues, in addition to continuing the growth of their business relationships within the community. There's no additional cost to attend the meeting. Potential members are welcome to visit two meetings before being asked to join the Chamber. 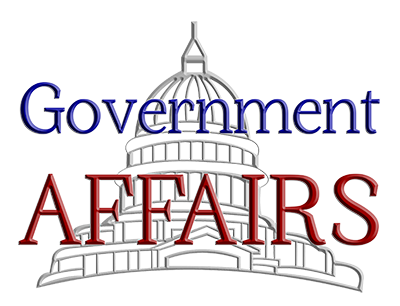 The Government Affairs meetings are typically held bi-monthly on the second Thursday of the month at 1:00 p.m., Lewisville Area Chamber of Commerce, Large Conference Room. Conduct the semi-annual Denton County Day in Austin and Washington D.C.